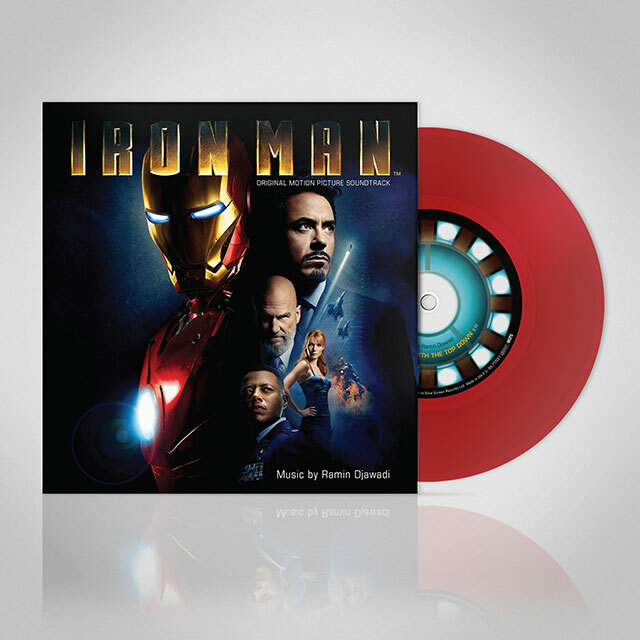 Iron Man 7 inch vinyl, this limited edition includes 2 tracks from the original motion picture soundtrack. Ramin Djawadi’s powerful, pulsating, contemporary score to Jon Favreau’s superhero blockbuster, starring Robert Downey Jr and Gwyneth Paltrow. See Silva Screen’s full original soundtrack release to Iron Man, previously released on CD and 12″ vinyl.